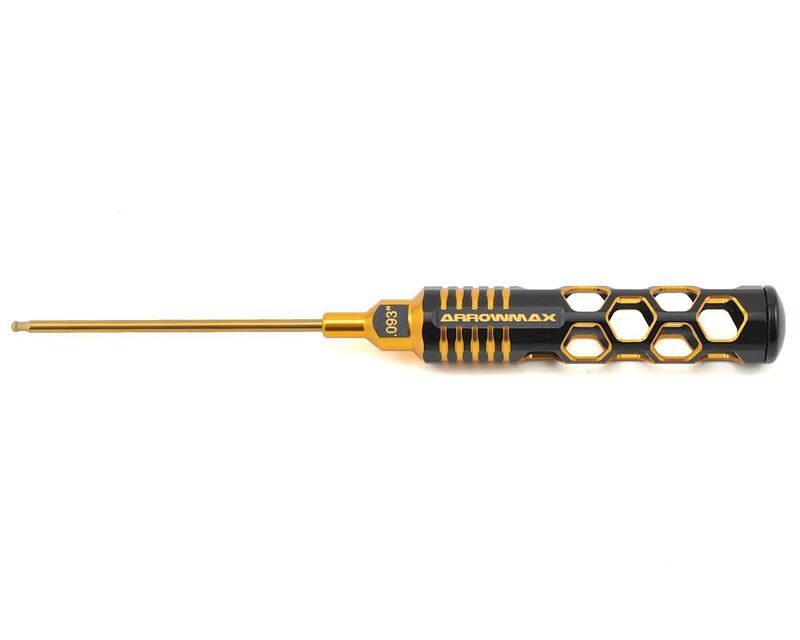 The Arrowmax Black Golden Ball End Hex Wrench is a limited edition tool that features an eye-catching hollow honeycomb handle design with a rich black and gold color finish. 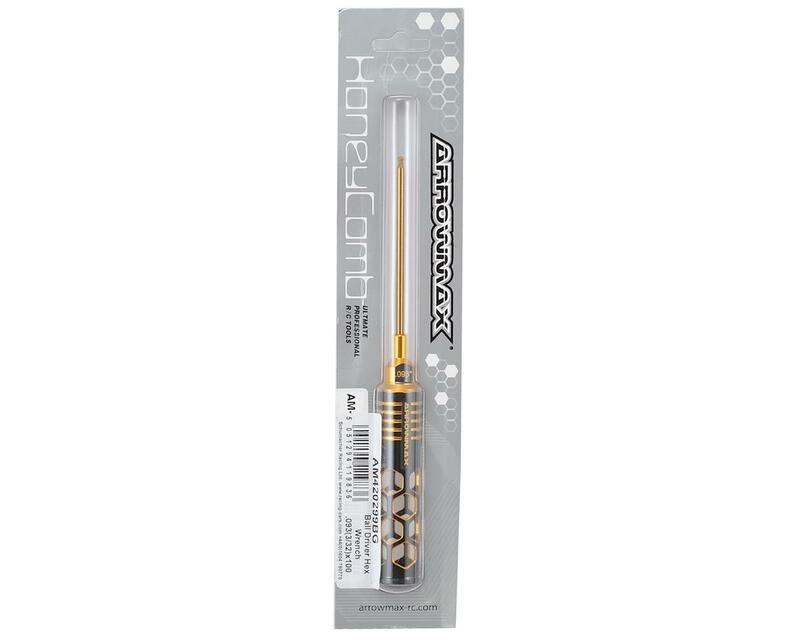 The 100mm long spring steel titanium nitride tip provides durability and long life, while a lexan end cap helps to create a more comfortable, controllable and lighter feeling tool that makes it easier to endure a long wrenching session. Package includes one 3/32" ball end hex wrench.